A lot of the reviews on our website are of new mattress manufacturers who have entered to compete against the titans in the industry. 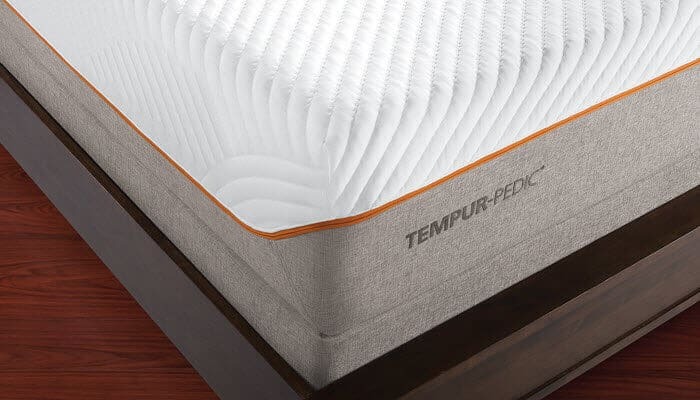 In this review, we will be comparing two of the original titans in the foam mattress market: Amerisleep and Tempurpedic. These mattress companies revolutionized the way we look at mattresses. Before their designs, most Americans used traditional spring mattresses, which had a wide variety of their own associated problems. Now, foam mattresses have become some of the most popular mattress choices in the nation. This comparison should give you all the information you need to make an educated decision on which mattress is perfect for you. Keep in mind that purchasing a mattress is a long-term decision – you will be sleeping on it for the foreseeable future. Make sure to have a list of the different characteristics you appreciate most when you start researching for the mattress that is right for you and your partner. Unlike some of the new mattress producers on the market, Amerisleep has a wide variety of mattresses they offer. 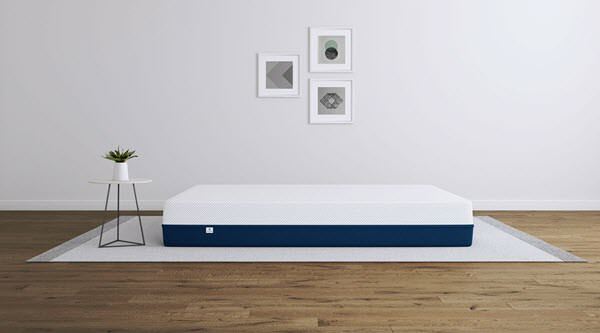 For the purpose of this review, we will be taking a look at their most popular mattress and how it stacks up against the Tempurpedic brand. 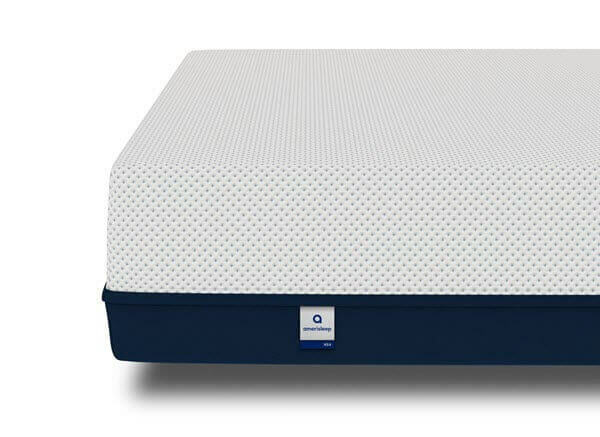 The Amerisleep Liberty is the most purchased mattress that the company produces – this will be the focal point of today’s comparison. Amerisleep offers a 100-day trial period in which you can return your mattress completely free of charge. They provide free shipping and returns throughout the United States. Make sure to check out their website for additional deals and offers before you purchase a bed. The Liberty is constructed using three unique layers that each provide their own benefits to the mattress. This might be less layers than with a Tempurpedic mattress, but it still provides the needed benefits of a top-end foam mattress design. We will explore the layers and their characteristics in more detail below. The top layer of the Liberty is 3” thick – it provides plenty of comfort for those who want a luxurious memory foam mattress. 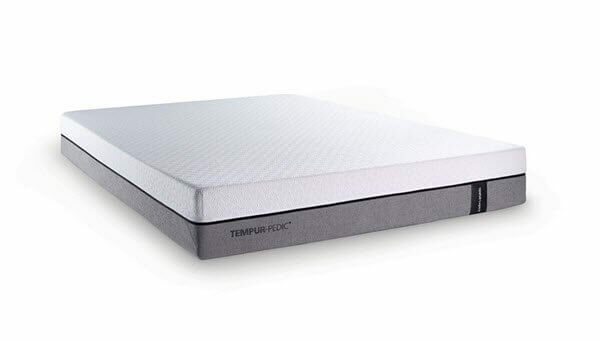 This layer is constructed using a patented Bio-Pur memory foam which is exclusively used in Amerisleep mattresses. This is like a traditional memory foam, but with great breathability and cooling abilities. If you like memory foam, but don’t want to retain too much heat, this is the perfect material for you! This layer is 2” thick, and provides a nice transition to the bottom layer. This is made using a unique transition foam, which provides both comfort and support. This layer is the thickest layer of the mattress – it is 7” thick. Like the top layer, this layer uses its own unique material called Bio-Core support foam. This foam is extremely dense and makes sure that the rest of the mattress doesn’t sink when the sleeper climbs on top. The Liberty has one of the most unique mattress covers on the market. The outward design of the cover is fairly basic – white top and blue sides. But the rest of the mattress is quite unbelievable. The cover is constructed using a material called Celliant – this causes your body heat to create infrared light while you sleep. This may sound crazy, but this infrared light can actually help your body heal from aches throughout the night. It’s perfect for those who traditionally wake up sore in the morning. The Liberty doesn’t differ too much from the Tempurpedic when it comes to support. The mattress provides a decent level of support, but not enough to justify a purchase from a heavier sleeper. If you do happen to be a heavier sleeper, you may find that you sink too far into this mattress. The Liberty is perfect for those who are in the normal to light weight distribution segment. You’ll find that the mattress is extremely comfortable if you are not too heavy. Past customers have made Amerisleep extremely popular by constantly raving about how comfortable their mattresses are. 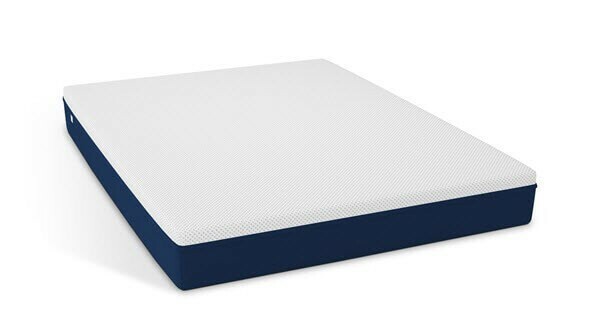 It also provides a lot more breathability than many other memory foam mattresses on the market. If you’re someone who struggles to go to bed because of overheating, this might be the best memory foam option for you. Tempurpedic is synonymous with luxury. This mattress company has been changing the mattress industry since it first began in 1992. People consider Tempurpedic to be the Godfather of the foam mattress industry. If you haven’t seen one of their commercials on television, you’re probably living under a rock. The company is a subsidiary of mattress giant Sealy – which produces a range of other mattresses as well. For the purpose of this comparison, we will be analyzing Tempurpedic’s most popular mattress – the Cloud. Tempurpedic also offers free shipping to all its prospective customers. They provide each mattress with a 10-year warranty – meaning you’re protected against any defaults in the mattress. Unfortunately, you can’t return a Tempurpedic for a refund, but if you do return it within the trial period you can swap it for another mattress. But don’t worry, the Cloud is available for testing in cities across the country – head to your local mattress store if you want to try it before you buy it. The Tempurpedic mattress is much thicker than many other foam mattresses on the market. It comes in at 11.5” thick in total. The Cloud is manufactured using four different levels – one more than the Liberty mattress above. We will explore each layer and its function in more detail below. As with any mattress, the top layer of the Cloud has been designed to prioritize comfort above all else. It is this portion of the mattress that has made Tempurpedic a famous brand. They use 2” of visco-elastic memory foam to construct this layer – it truly feels as though you’re sleeping on top of a cloud. This layer is the thickest layer of the mattress, it provides support and buffer material between the top and bottom layers. It is made from 4” of polyurethane foam. This layer provides the most support out of all the layers, despite being thinner than the third layer. The bottom layer is made from 3.5” of polyurethane foam. This is what ensure that you don’t sink through the mattress when you lie on it. The Cloud mattress cover isn’t as advanced as the Liberty cover – there are no infrared benefits associated with it. This being said, it’s still a highly functional cover that suits the mattress well. The cover is designed with minimalism in mind – it does so to ensure as much breathability as possible. Having an overly thick mattress prevents the mattress from breathing, and it can also be very hard to wash. The Cloud cover is manufactured using a blend of polyester and spandex. This gives it a durable and stretchy nature, which isn’t’ compromised by overuse. Comfort and support are the two most critical components of any mattress. You can have a complex design and advanced materials, but if these traits aren’t perfect, the mattress is useless to the consumer. The Cloud is the same as the Liberty in terms of support – it ranks at a 5/10. You’ll find that this mattress is also perfect for those of a normal weight distribution. If you are a heavier sleeper, the Cloud isn’t going to be the right mattress for you. But this doesn’t mean that you can’t own a Tempurpedic. The mattress companies make a range of other mattress that vary in support level from 3/10 to 9/10. The reality is that they’ll be able to find a mattress suitable for you, no matter what your taste. The Cloud is consistently rated one of the most comfortable mattress choices on the market. The reality is that this is one of the most comfortable mattresses that you can purchase. 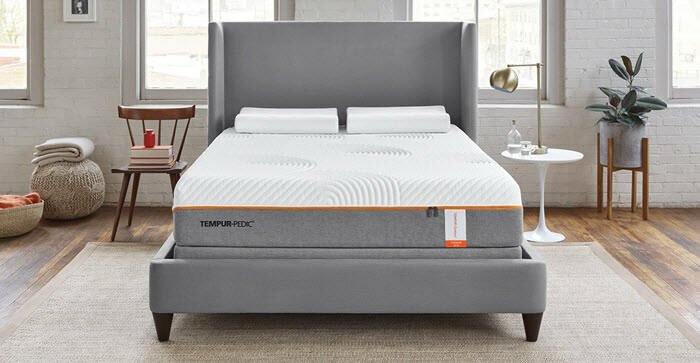 Sealy and Tempurpedic have gone to great lengths to ensure that their luxury products sit at the helm of the industry. The materials used in the Cloud are second to none. The only downside to the Cloud is heat retention. Memory foam has a bad reputation for collecting heat more than other hybrid foam types. That’s why it can be hard to sleep on the Cloud if you’re someone that is super sensitive to heat. If you overheat very easily, you might want to consider a different mattress with hybrid foam top. If you can afford these two mattresses then you have a budget that will be able to purchase you one of the most desirable mattresses on the planet. These two mattresses are truly perfect for those who are not heavy sleepers. But don’t take our word for it – if you head online you’ll find countless reviews praising the comfort and quality of these two mattresses. If you are someone who overheats easily, you will find that the Liberty mattress does a better job of preventing heat retention. Their personal brand of foam has been designed to better dissipate heat at a much quicker rate than that of the traditional memory foam used in the Cloud. At the end of the day, heat retention aside, the Cloud is the higher quality mattress. It provides four unique layers that have combined to create a wonderful sleeping experience for its owners. But the price tag is significantly more hefty than that of the Liberty. If you’re looking for value, the Liberty is a no-brainer. It provides you with all the comfort and support that you want from a high-end, luxury mattress, without the absurd cost of the Cloud. 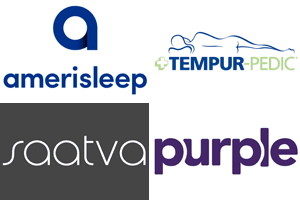 If you want to purchase a mattress from one of these manufactures, but don’t think that these are the right ones, check out their website to see what other models they have on offer.